Emotional Support Animals, or ESAs, offer more than just companionship. They provide an increased comfort level for their owner, particularly in social situations. They also require a note from a licensed mental health professional to qualify. While people are growing accustomed to seeing service dogs, identifiable by their service dog vests in public places, emotional support animals are a newer movement and may require getting used to by some people. They are also not covered by the same laws as service animals. Many people confuse emotional support animals with service animals but there are important distinctions between the two. 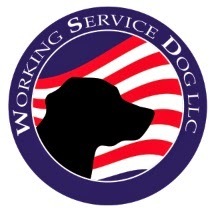 Service dogs, including seeing-eye dogs and dogs that aid with disabilities, are supported by the Americans with Disabilities Act (ADA) while emotional support dogs are not and therefore do not receive the same privileges as service dogs in public. While emotional support animals are allowed to fly with their owners and qualify for no-pet housing, they are not required to be allowed entry into any public establishment that ban animals (Source: National Service Animal Registry). Dogs are the popular choice for emotional support animals and are easily recognizable with an emotional support animal vest. They provide comfort for their owners in public places, such as stores, restaurants and airplanes. While dogs are common emotional support animals, other less common species have also filled the role. Some of the unique and perhaps surprising animals to assist people for emotional support include pigs, rabbits, snakes and alligators. Unfortunately, some of these animals may cause anxiety to the general public, despite providing comfort to their owner (Source: Boston Globe). Although emotional support animals are not supported by the ADA, you can still help the public to accept your animal companion by purchasing an emotional support animal vest. These vests highlight that your animal is there to offer you support and will reduce the number of potential confrontations from less animal-loving people in public. Order your emotional support animal vest today!